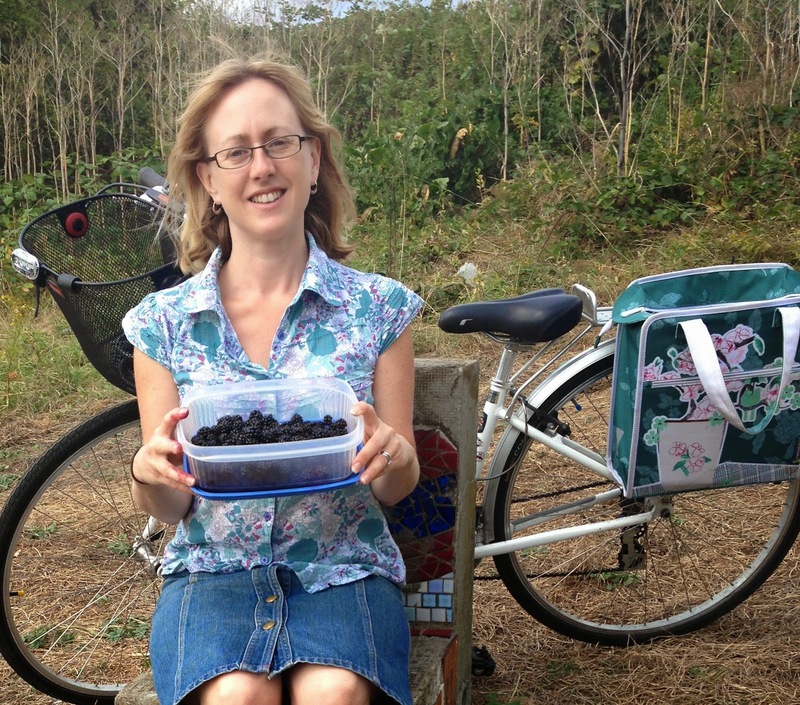 Last Saturday the kids and I jumped on our bikes and cycled through the local park, towards the canal, collecting blackberries as we went. We saw a lot of people out doing the same thing, but despite their overflowing bowls there plenty there for us to forage as well. We got stung by the stinging nettles, scratched by the brambles, and Noah took a tumble on his new bike, but we had a lovely afternoon. 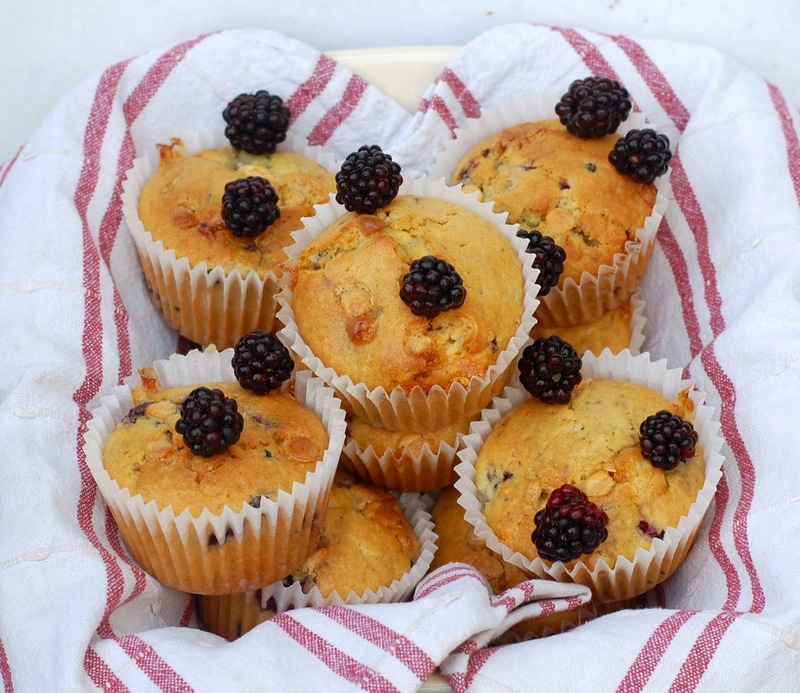 After some deliberation we decided that we would bake with the blackberries, and that muffins were the way to go. 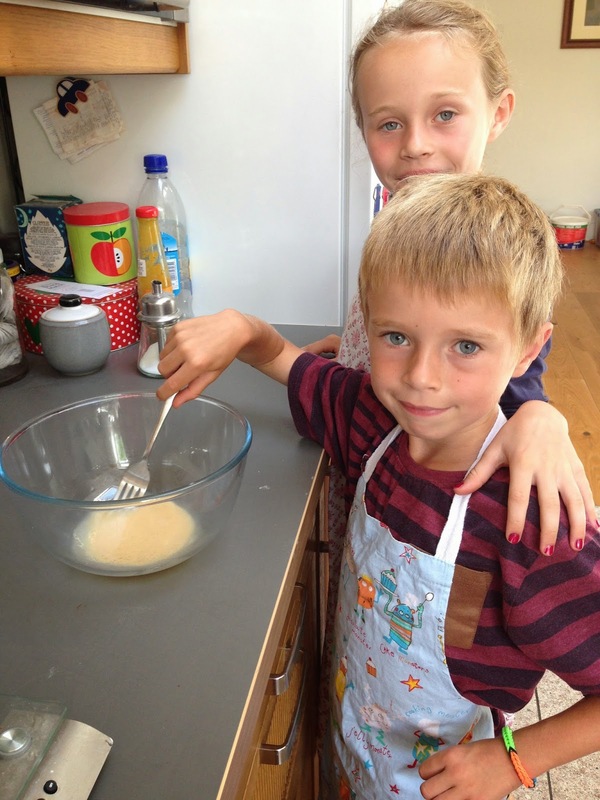 I think that muffins are a great thing to bake when you have two little helpers, as one can take care of the bowl containing the dry ingredients, and one gets the other bowl with the wet ingredients, so they only really have to take it in turns when it all gets mixed together. We came up with our own blackberry and white chocolate muffin recipe, which we were very happy with. I sense a return trip to the park with the tupperware before too long. Like most muffins , these are best eaten on the day they are made, and are especially tasty fresh from the oven. The tart berries are complimented beautifully by the sweet white chocolate, making for a moreish, tasty treat. 1. Preheat oven to 190°C/170°C fan/gas 5. Line mini muffin tins with 15 paper cases. 2. 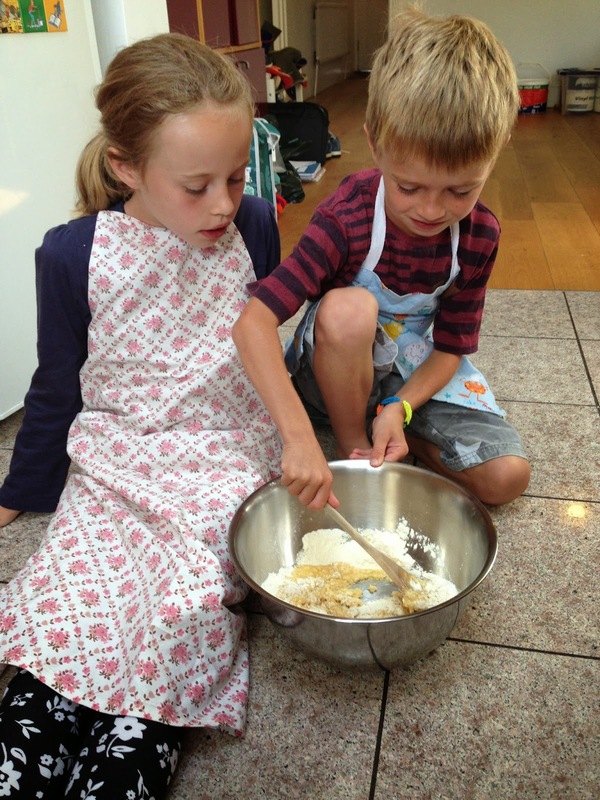 Sift the flour, bicarbonate of soda, salt and sugar into a large bowl and stir. 3. Measure the milk into a jug or bowl, and add the beaten egg, vanilla and melted butter. Mix together. 4. Add the wet ingredients to the dry and stir until just combined. Don’t worry if there are lumps. 5. Gently stir through the blackberries and white chocolate, taking care not to over mix. 6. Spoon the mixture into the muffin cases, and bake for approximately 25 minutes.